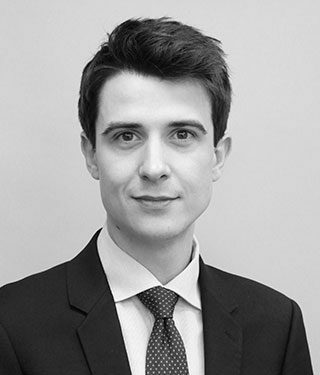 Luka joined Chambers in December 2018 and successfully completed his pupillage in April 2018. Luka has a broad experience in family, civil, criminal and immigration matters and continues to receive instructions in all areas. Prior to pupillage, Luka acquired relevant experience working as a paralegal for a London set of Chambers undertaking general civil, family and commercial work. During this time, Luka has developed a strong grounding in drafting. Luka is thorough in his work, compassionate and committed to delivering the best result for his clients. Luka has expertise in Direct Public Access and is authorised to accept instructions from members of the public directly. Luka’s clients have complimented him for his commitment and excellent client care. Luka has experience in matters including contractual disputes, landlord and tenant disputes, personal injury, road traffic liability and quantum hearings as well as Anti Social Behaviour (ASB) injunctions. the merits of bringing a professional negligence claim against a legal representative. Luka has also recently been instructed to draft Particulars of Claim in a breach of contract matter against a publicly listed Oil Company. Luka has a growing practice in family law and has represented parties in private law children proceedings including applications for Child Arrangements Orders, Prohibited Steps Orders, Specific Issue Orders as well as relocation cases. Luka has also successfully opposed an appeal brought against a Contact Order, previously obtained for his client at first instance. Luka has defended clients in the Magistrates’ involved in driving offences including speeding offences, dangerous and careless driving, alcohol and drug related driving offences and failing to provide. Luka has also on a number of occasions successfully argued grounds of exceptional hardship for his clients.